Oenothera biennis, commonly known as Evening Primrose, evening star, sun drop and night-willow-herb, is a wildflower native to America and the source of Evening Primrose Oil. The north American Indians used this lunar herb, which flowers at twilight, for food and medicine. The plant was introduced to Europe in the 17th century as the ‘King’s cure-all’ and some 100 years ago it made its way to China where it was embraced by TCM (traditional Chinese medicine.) Today, China is the world’s biggest producer of Evening Primrose Oil. The seeds of the Evening Primrose contain up to 25% essential fatty acids, which is mostly the omega-6 fatty acids linoleic acid (LA) and gamma-linolenic acid (GLA). Oleic, palmitic, stearic, caprylic, capric and myristic acids are also present, as well as trace amounts of lauric, arachidic and behenic acids. It also boasts the powerful antioxidant catechin, which inhibits cancerous tumour growth. The oil is a light yellow colour and being highly unsaturated, does not have a long shelf life. Most of the benefit of Evening Primrose Oil seems to come from its high GLA content. This special type of Omega 6 is absorbed into the cell wall where it becomes available for local tissue hormone production, most notably the prostaglandin E1 series (PGE1). These lipid compounds are involved in a variety of important physiological processes from wound healing to the maintenance of salt and water balance, nerve conduction, insulin secretion, reduction of inflammation and platelet aggregation, as well as gastrointestinal function. They help lower blood pressure and cholesterol and protect the liver and influence brain function and concentration.. One of these is catechin, a flavonoid that has the potential to inhibit the growth of cancerous tumors and lower the risk of heart disease. Evening Primrose Oil is anti-inflammatory, boosts the immune system and regulates hormones. It is an effective antioxidant and free radical scavenger that strengthens skin barrier function and improves blood circulation. It softens rough skin, reduces fine lines and can plump and brighten mature or tired skin. Evening Primrose Oil is primarily used as a nutritional supplement in capsule form. It is popular for reducing the symptoms of PMS and the menopause and for inflammatory conditions like arthritis, excema and asthma. It is also a promising treatment for nerve disorders, such as multiple sclerosis and rheumatoid arthritis and for weight loss, Reynaud’s disease, breast cancer, stress management, diabetes, hyperactivity, endometriosis, lupus and dry eyes. In diabetes, it speeds up the healing of ulcers and helps to reverse the nerve damage associated with the disease. 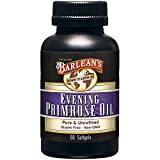 Many diseases and metabolic complications arise from an essential fatty acid deficiency which can be corrected by supplementing with Evening primrose Oil. Topically, Evening Primrose Oil is effective for calming inflamed and irritated skin, especially in acne, rosacea and eczema. As a gentle, but highly moisturising oil, it is suitable for sensitive and mature skins. It can be used on its own but is also found in many skin care preparations. Evening Primrose oil is edible but not commonly used for culinary purposes.